If you’re going to kick off a major event in Sunderland then the Minster is probably one of the best places you can do it. The amazing 12th Century building is one of the best venues in the city and is a stunning location for anyone visiting from outside. It also happens to have something that you really need for a good film or music event: great acoustics. 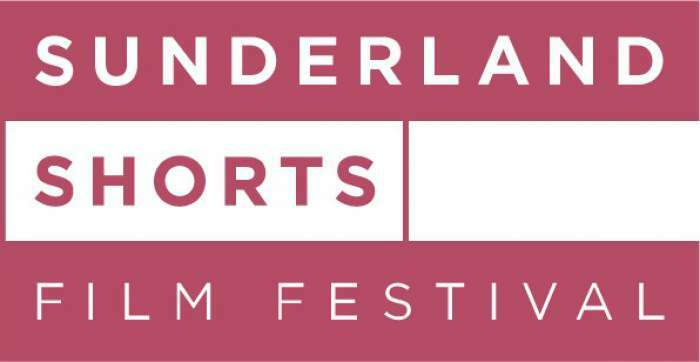 It’s perhaps no surprise that the venue was chosen to host the opening night of the inaugural Sunderland Shorts Film Festival then, as the surroundings were sure to wow anyone coming from afar. The inaugural night of the Festival was all about the films though, and eleven shorts from around the world had been lined up for the audience to enjoy. The evening of films kicked off with Ivan Mena-Tinoco’s magic realist tale Through the Breaking Glass, the tale of a woman waking up in a magical realm with no memory of who she is or how she got there. Owing much to the works of Guillermo Del Toro, Alfonso Cuaron and, of course, Luis Bunuel, Mena-Tinoco’s film was a visually ravishing spectacle that contained some beautiful CGI and some rather nice interactions between the characters. Essentially, the film was simply Alice In Wonderland transposed to the modern day and given a darker twist involving themes of life and death, but it’s hard to argue with a film that’s shot so beautifully and doesn’t outstay its welcome. Centurion Resurrection definitely knew when enough was enough, as its three minutes built up to one basic punch line and ended. The miniature comedy from Richard Bazley almost seemed to be poking fun at hyper-macho feature films such as 300, as the eponymous Roman Centurion was transported into the modern day through a build up sequence with golden filters, slow motion and even an eagle (who actually gave the funniest performance in the film, thanks to it seemingly opening its beak in disbelief). The payoff might have been a bit predictable, but it was good fun none the less. Ben Ryder’s Mrs Kaye certainly wasn’t a barrel of laughs, as the titular protagonist became trapped in a never ending series of offices and an endless trail of bureaucracy that owed a lot to Franz Kafka. The increasing emotional distress of Mrs Kaye through the events and the menacing, repetitive performance of the successive supervisors (all played by the same actor, just to give it that added tinge of eeriness) were undoubtedly the highlights of the piece. I found the ending was a slight let down. Though I understood that leaving the shot lingering on the mountains of paperwork Mrs Kaye had to fill in was a representation of a lack of customer care in an age of bureaucracy and increasing dependence on technology, for me, having a final reaction shot of the protagonist at the end would have left more emotional impact, focusing on the plight of the customer rather than the bureaucracy itself. In this way, the incredibly short but very sweet Fresh Air got the formula right. Presented in crude line drawings – that were altogether charming – the film centred around an old woman in a residential care home just looking to get some fresh air and a bit of freedom. Eventually, she escapes the home entirely using a rather unorthodox method. Director Fin McMorran’s quirky animation presented an underlying message about treating the elderly as human beings who deserve at least some level of independence without being overly preachy, making a breath of, well, fresh air. See Me Now was a fascinating insight into the lives of models and designers with dark skin. Starting with some hard-hitting facts about the strength of the skin lightening industry and the lengths some women will go for a lighter look, the film then went on to look at the lives of a range of women who have learned to love their darker skin tone, despite pressures from society. The message was most welcome and the cinematography undoubtedly made the models even more stunning than they already were, but personally I felt the film went on for a bit too long. After a while, the personal narratives ceased and we were treated to more of an extended montage of models walking down the catwalk, which maybe could have been edited down somewhat. And maybe it was just me but the soundtrack was a bit cheesy in places; I know the Aboriginal woman was in touch with her roots and proud of her culture, but did we really need a didgeridoo playing in the background for her story when the other models all had very similar, disco-infused music? Philip Clayton-Thompson’s quasi-music video ARDOYNE was one of the films I was most looking forward to seeing after reading so much about the fascinating production and ideas behind the film. Using clips from a 1972 documentary about The Troubles in Northern Ireland set to music and lyrics that Thompson wrote himself, the film certainly has an interesting concept, but it doesn’t always come off. The most affecting parts of the film centred on drawings and paintings by schoolchildren, but it was a bit jarring to see those edited in alongside live action documentary footage. Marcus J. Richardson’s After Eric: Part Of That World got the most laughs of the night, even if it was filled with pathos. The black comedy has a very clever conceit: Ariel, The Little Mermaid, is followed by a documentary crew as she continues to live on dry land after divorcing her husband Eric, a fisherman now living in Arbroath. Like most great indie comedies, the laughs are offset by some more serious moments that don’t feel like they are deliberately trying to tug at your heartstrings. Ariel’s life is actually quite sad and a bit pathetic, as she longs for her father and friends to forgive her. Still, Ariel’s high-pitched voice alone was enough to raise a chuckle, and combined with a few brilliant bits of comic timing and genius writing, it was probably the highlight of the night. If anyone was shedding a tear for the plight of poor old Max, then the dinky tale of one woman’s morning struggle in Late definitely would have raised a smile. Lovingly animated in black and white, the film perfectly captured that moment in the morning where everything goes wrong, everything goes missing, and you end up panicked and scrabbling to get to work on time. It was only one and a half minutes long, but that didn’t stop it from being relatable. Across Still Water wasn’t aiming to be relatable but it did raise awareness of a serious issue that blighted the life of its subject John: blindness. The fly on the wall documentary from Ruth Grimberg followed around a young man who was slowly going completely blind thanks to a degenerative eye condition and the tough decisions he has to face (including the prospect of having to give away his Jack Russell so that he can get a guide dog). What was so clever about the film is that the pitch-black cinematography at night, when John went fishing with his friend, perfectly represented what it was like to be him. Rather than talk to him about what it’s like to slowly be going blind, the film actively showed you. From a physical disability to a mental condition, Cleaner Than Life was an oddly dark tale that managed to balance the funny sight of a woman with Obsessive Compulsive Disorder cleaning the house with all the vigour in the world with the serious impact it was having on her ability to function in everyday life. She wants to travel, but can’t find the time to go to the agent’s while there’s still cleaning to be done. It certainly crammed a lot into its three minutes and was an nicely quirky end to the run of films. The evening was ended by a set from Sunderland six-piece Lilliput, who definitely seemed to be enjoying their time in the Minster. Playing their wonderfully melodic tunes – that are a cross between the good bits of Supertramp and the poppier side of the Beatles – they rattled through a 45-minute set that finished with their latest single, the infectious Waiting To Go. The organisers had certainly pulled out all the stops to impress on the first night and, for the most part, they didn’t fail.